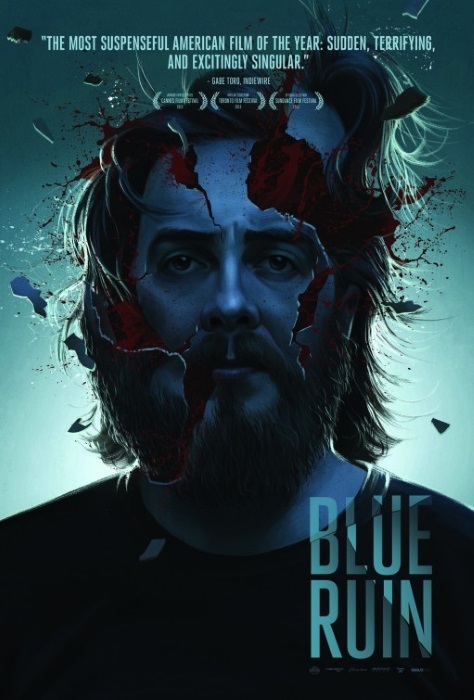 Blue Ruin is one of the first great dramas I’ve seen this year as it blends together great performances, great direction and a solid screenplay to create a moody and haunting tale of revenge. 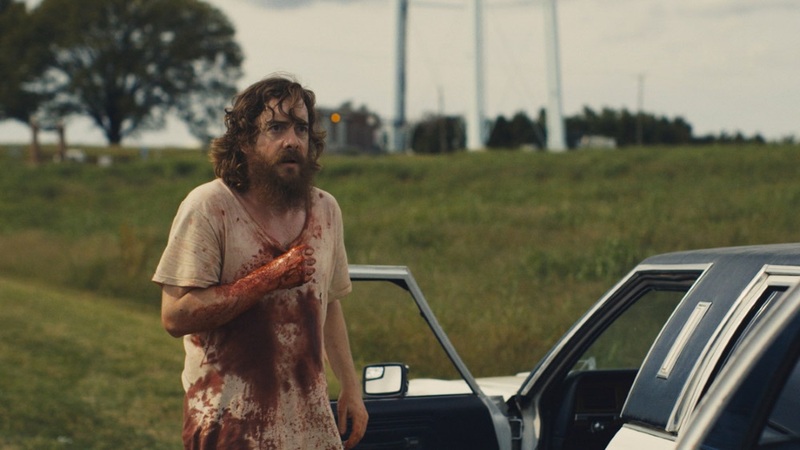 Dwight (Macon Blair) is a drifter whose parents murdered when he was younger. The man who killed his parents is released from prison and he returns homeward to kill him. In doing so, he sets off the return of a lifelong feud between two families. The cast director Jeremy Saulnier picked for the movie is filled with great talent that know how to play to the tone and the style that the film is going for. Devin Ratray and Amy Hargreaves are standouts in supporting roles as Dwight’s friend Ben and Dwight’s sister Sam respectively. Both of them in the scenes they had with actor Macon Blair found ways to work off of what the other way saying and they found a way to create moments that brought out the more poignant depths of our protagonist. Specifically from a screenplay standpoint Ben is there to hint at a simpler time for Dwight and how whatever hope he had in life is truly gone. Sam brings out more than anything in this film the idea that despite everything that has happened, Dwight ultimately wants to do what is right and in a better life he could’ve been somebody great. Devin and Amy are two actors who add just the right amount of emotion to their performances to make their characters successful in presenting the more human moments of the film. However, neither of them are as good as the person whom they are both working off of which is Macon Blair in the lead role of Dwight. I don’t how much this means but Macon delivers the best performance I’ve seen this year so far. There are few scenes in which he talks but at the same time he finds a ways through his facial expressions and physical movements to design this touching, heartbreaking and grim character arc that makes it that more meaningful whenever he speaks. Dwight is a character who you could take in many directions and I think Macon Blair makes it his own in the emotion and detail he adds to the character. The performance features hints of the cool, loner hero you would expect to see in a western from the 50’s and 60’s but Blair doesn’t just stop at making the character look cool, hints of the screenplays and areas of his performance show us surprising layers to Dwight’s purpose. He is weak in many areas (he can’t fire a gun and he fails to get an arrow out of his leg) and what he does is shown to be almost as bad as the actions of the antagonist. But at the same time he is shown to truly care about the lives of others and what he does while terrible is ultimately only done for what is good. Dwight works as a fantastic anti-hero because beyond having a cool look he also is flawed and presented as someone who could’ve in a past life been someone of greatness sadly drawn to his current situation due to the wrath of the human condition. The screenplay is very open ended in many areas allowing Macon to give a cool and unique interpretation of the character and in doing so Macon gives us a performance that is terrifying, heartbreaking and human. It’s always great to see a screenplay and a performance blend together so perfectly to create such a genuinely memorable performance. Jeremy Saulnier does outstanding filmmaking work in his theatrical debut. There isn’t a single moment of the film that doesn’t take away from the gritty, beautiful style which the director is going for; this is a movie that feels like the fully realized vision of what Saulnier was trying to create. The music by Brooke and Will Blaire is very minimalistic and intense and it helps to build this great sense of mystery and bleakness to the film throughout. The sound design is so close to perfect that at one point in the film I closed my eyes and I could hear every click and every action that was going on and it almost felt like music, every gun shot and every sound of movement from the car is crisp and electric. The practical effects used in the film by Shelley Lllmensee are extremely realistic and the film never holds back from showing the grotesque and brutal nature of what the characters are doing. One scene is particular where Dwight is trying to pull an arrow out of his leg is one of the most cringe worthy scenes I’ve seen in recent memory. The setting for the film is vast and filled with a great sense of loss, wonder and age which helped to enrich the tone, style and layers of the main characters intents. This style is further raised by the outstanding cinematography by director Saulnier. Even if directing movies in the future doesn’t work out for him (something I highly doubt), I think Jeremy can still fall on his amazing work as a cinematographer. He finds a way to bring out the richness and epic length of the story as well as the setting yet at the same time he finds a way to equally stay true to the haunting and moody heartbreak of his tale. Whatever you want to take out the impactful cinematography, the film is a visual feast of terrifying and beautiful imagery that even manages to at times be both. There is also something to be said for the films amazing editing by Julia Bloch (also did editing for Tree of Life and the upcoming Foxcatcher) which kept the film flowing at a clear and sharp rate that never had me bored and always had me glued to the journey from the studio logos to the end of the end credits. 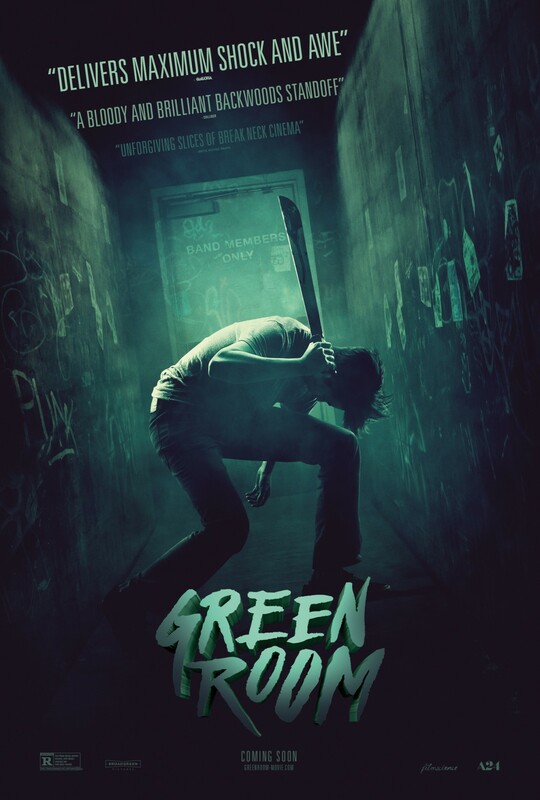 Whatever aspect of the film you look at , Jeremy Saulnier is a clear talent in creating a beautiful, crisp, riveting and stylized film and I have no doubt that I will be seeing more greatness from this director in the future. In terms of what I believe the film was trying to say, I think the film works as a tale of the darkness that can comes from mans need to blame and take revenge. A twist that is pretty big but still not worthy of bloodshed leads to the spiral of several characters into something that can only be described as savagery. Mans need to defeat others will lead to even more bleakness. This pattern in human nature affects all of us, good and bad. Certainly, many of the characters in the film who seek revenge are genuinely terrible people but Dwight seems like he could’ve been a good person. He only does what he does out of love and he is only driven to the actions he does only when it becomes clear to him that the other has no chance of redemption. As I’ve previously stated, I can see a world where Dwight grew up normally and perhaps became a loving father or an extremely charitable person. But he has received a trauma which can never be fixed and he is doomed to the terrible nature and ghostly figure of his existence. Human wrath is a sad unending pattern which is constant. In terms of other great things that should be mentioned, the films ability to have a presence of mystery as to the character and story throughout is highly honorable. The ending also while I won’t give it away is definitely a great open ending as to the future of some of the characters. I do have a couple of problems with the film here and there. I see what they were going for in making the family hunting down Dwight purely evil but I think it would’ve been nice to add a bit more dimension to their characters beyond just showing them as the stereotypical rednecks who yell loudly and always seem angry (with the exception of the brother Teddy Cleland who shares a very tense scene with Dwight half way through). I think making them just a bit more dimensional would’ve made the film more complex in that way. I also think some of the dialogue comes off simply as exposition but at the same time I can’t think of a better way to reveal what they did in the lines that were created. 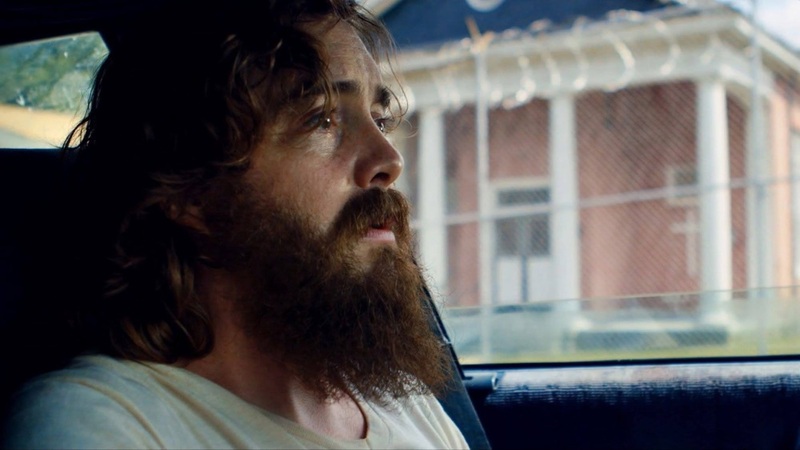 Mostly, Blue Ruin is a riveting debut from director Jeremy Saulnier and actor Macon Blair. The performances are memorable; the direction in every aspect is excellent and the screenplay is subtle, intense and filled with thought provoking messages. I highly recommend the film as a fascinating, mesmerizing and entertaining thriller with large amounts of depth. And I would go as far as to call it one of the best films of the year so far. NOTE: In loving memory of Francis Edward Saulnier.